And, even more glorious at the sight of Benedict Cumberbatch perched atop his valiant steed all decked out as King Richard III, the last king of the House of York, as principal photography begins on The Hollow Crown: The Wars Of The Roses, a Neal Street co-production with Carnival/NBCUniversal and Thirteen for BBC Two, filming in locations around the UK. BBC also revealed that Andrew Scott — who plays Cumberbatch’s Sherlock nemesis, Moriarty — would be joining the cast as King Louis, alongside others including Michael Gambon, Philip Glenister and Jason Watkins. Assembling some of the UK’s finest acting talent and, in addition to the stellar cast recently confirmed – Benedict Cumberbatch, Judi Dench, Sophie Okonedo, Hugh Bonneville, Sally Hawkins, Keeley Hawes and Tom Sturridge – new names revealed today are – Michael Gambon as Mortimer, Philip Glenister as Talbot, Andrew Scott as King Louis, Jason Watkins as Suffolk, Samuel West as the Bishop of Winchester, Stanley Townsend as Warwick, Adrian Dunbar as Plantagenet, Geoffrey Streatfeild as Edward IV, Ben Daniels as Buckingham, Ben Miles as Somerset, Sam Troughton as George, Stuart McQuarrie as Vernon, Anton Lesser as Exeter, Kyle Soller as Clifford, Phoebe Fox as Anne, James Fleet as Hastings and Lucy Robinson as Young Cecily. Dominic Cook‎e (former Artistic Director of The Royal Court theatre) will make his TV directorial debut with the three films. Ben Power (Associate Director of The National Theatre), who previously wrote the screenplays for Richard II and Henry V, has adapted the cycle for the screen. Rupert Ryle-Hodges also returns as producer. Sophie Okonedo (Queen Margaret), Hugh Bonneville (Humphrey, Duke of Gloucester), Sally Hawkins (Eleanor, Duchess of Gloucester), Tom Sturridge (Henry VI), Adrian Dunbar (Plantagenet), Stuart McQuarrie (Vernon), Lucy Robinson (Young Cecily), Samuel West (the Bishop of Winchester), Stanley Townsend (Warwick), Michael Gambon (Mortimer), Anton Lesser (Exeter), Ben Miles (Somerset), Jason Watkins (Suffolk) and Philip Glenister (Talbot). Benedict Cumberbatch (Richard III), Sophie Okonedo (Queen Margaret), Keeley Hawes (Queen Elizabeth), Tom Sturridge (Henry VI), Adrian Dunbar (Plantagenet), Geoffrey Streatfeild (Edward IV), Sam Troughton (George), Stuart McQuarrie (Vernon), Kyle Soller (Clifford), Lucy Robinson (Young Cecily), Stanley Townsend (Warwick), Anton Lesser (Exeter), Ben Daniels (Buckingham), Ben Miles (Somerset), Jason Watkins (Suffolk), Phoebe Fox (Anne), James Fleet (Hastings) and Andrew Scott (King Louis). Judi Dench (Cecily, Duchess of York), Benedict Cumberbatch (Richard III), Sophie Okonedo (Queen Margaret), Keeley Hawes (Queen Elizabeth), Geoffrey Streatfeild (Edward IV), Sam Troughton (George), Ben Daniels (Buckingham), James Fleet (Hastings) and Phoebe Fox (Anne). 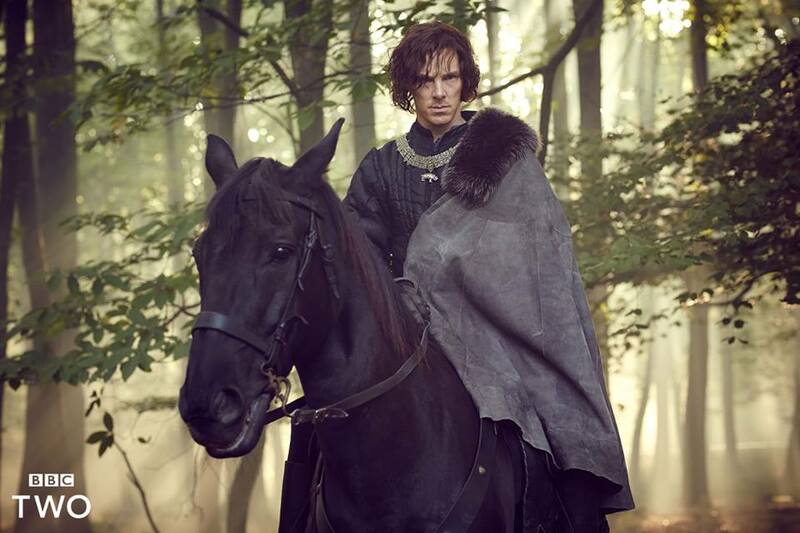 The Hollow Crown: The Wars of the Roses is a Neal Street co-production with Carnival/NBCUniversal and Thirteen for BBC. Executive producers are Sam Mendes, Pippa Harris and Nicolas Brown for Neal Street Productions, David Horn for THIRTEEN and Gareth Neame for Carnival Films/NBCUniversal. It was commissioned by Ben Stephenson, Controller BBC Drama commissioning. Another Anglophile’s Dream Cast assembled for The Hollow Crown: The War of The Roses, which will air on PBS in the U.S. and BBC2 in the U.K., although a date is yet to be announced. Lady Anglophile…bring on The CumberBard! This entry was posted in Home Page Posts, The CumberWatch and tagged BBC, Benedict Cumberbatch, PBS, Richard III, The Hollow Crown. Bookmark the permalink. The cast list is just marvelous! I loved “The Hollow Crown” and was very happy when “The war of the Roses” was announced. Seeing the cast list made me even more curious.